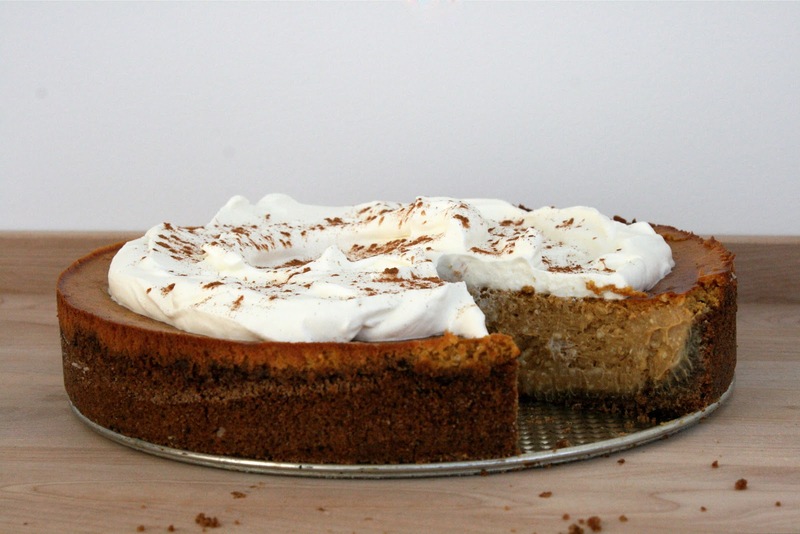 Trendy Treats: Starbucks Pumpkin Spice Latte Cheesecake! / Hey, EEP! 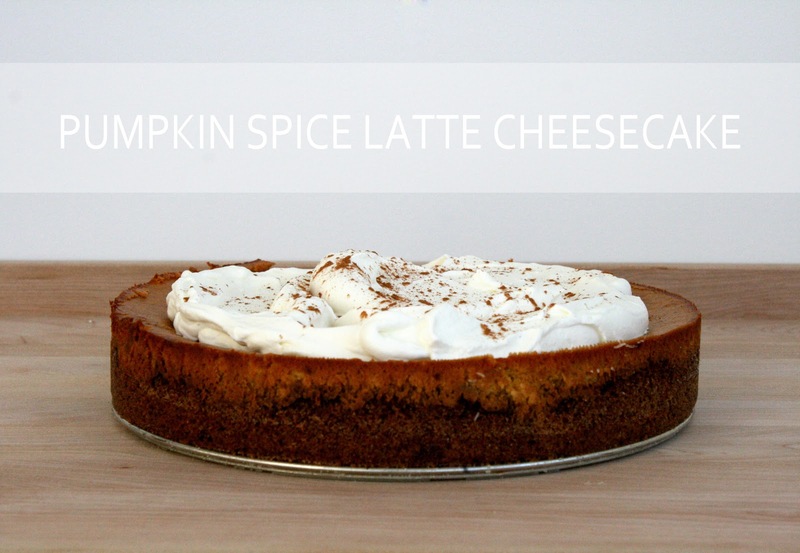 Trendy Treats: Starbucks Pumpkin Spice Latte Cheesecake! This year Pumpkin Spice Latte madness was fiercer than ever: Rumors were buzzing that Starbucks ran out of the pumpkin spice syrup used to sweeten their signature drink! Hush, hush my sweets, it wasn't true. But something about the hysteria got me thinking: Why not work Pumpkin Spice Latte love into more fall treats? 1. Preheat the oven to 350˚. Pulse the graham crackers in a food processor until coarsely ground. Add the butter, sugar, instant espresso powder and salt and pulse until combined and the mixture resembles wet sand. Press the crumb mixture into the bottom and up the sides of a 10-inch springform pan. Bake until lightly golden, about 8 minutes; set aside and let cool completely. 2. Meanwhile, make the filling: Beat the cream cheese with a mixer on medium speed until soft and smooth. Add the pumpkin, sour cream, granulated sugar, eggs and egg yolks, flour, instant espresso powder, vanilla, pumpkin pie spice and salt and beat until combined, scraping down the bowl as needed. Pour the batter into the prepared crust and bake until set around the edges but still giggly in the center, about 1 hour. Let cool slightly, then chill until set, at least 5 hours or overnight. 3. Make the topping: Beat the heavy cream, confectioners' sugar and vanilla with a mixer until soft peaks form. Spread on top of the cheesecake. Sprinkle with pumpkin pie spice.